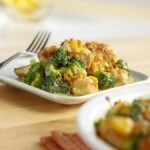 Chicken Divan is a divine chicken recipe using broccoli and cheese. 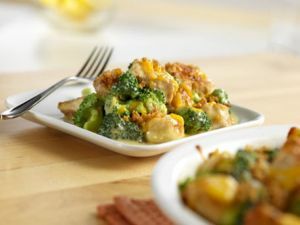 Mix chicken (bite-size pieces), broccoli, cheese and soup together. Pour into 8 x 11 inch casserole dish. Place croutons on top. Bake at 350 degrees for ½ hour or until hot.